Our staff can assist in all aspects of your corporate event catering. 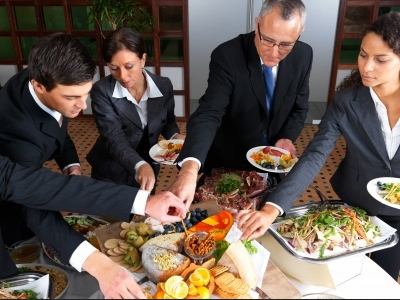 Village Catering can take care of all the details for your business event, leaving you worry free. Village Catering offers an array of menu selections. We provide traditional dishes, an excellent selection of hors d’oeuvres, seafood, beef, and much more! Our dedicated staff provides creative and stylish food presentations with every event we cater. We ensure you receive the finest and freshest meal service possible. No job is too small or too large.